Since 1934 St Johns URC Tennis Club has been a centre of Tennis in the middle of Ipswich. Now featuring three brand new floodlit courts, St Johns is an ideal starting point if you’re looking to either start your Tennis journey or are looking for a more cost effective club to play at. With a level three LTA qualified head coach, Trevor Howard, the club offers a full range of adult and junior coaching* programmes together with club play, league matches and social tennis. 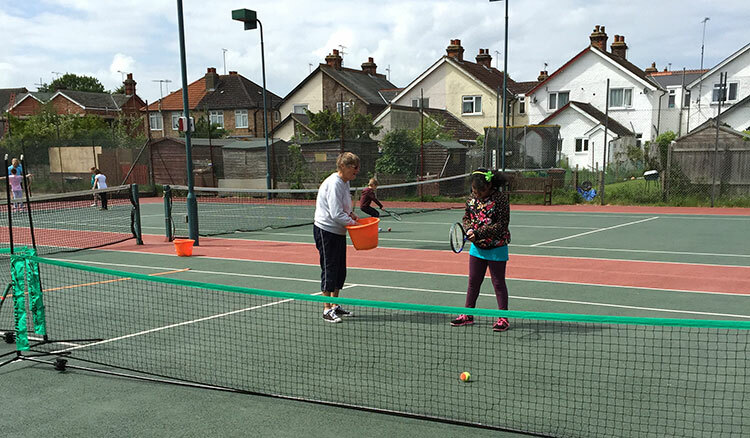 The club have an active forward looking management committee that aims to promote tennis wherever possible; the club works actively with local schools and the LTA to promote tennis to young and old alike. With junior membership starting at only £50 per annum and a full adult membership at only £100 per annum, playing costs or a fraction of other central Ipswich clubs. If you’d like to join but are unsure of the best way to start the process just click on the link below and complete the simple form and our membership secretary will get back to you ASAP.